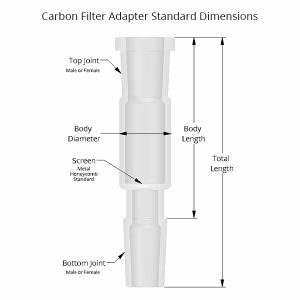 These carbon filter adapters are a great way to retrofit an existing piece, while filtering out carcinogens and toxins in the smoke for improved taste, smoother hits and cleaner glass. 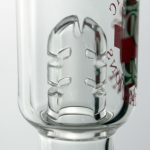 Our basic Glass Carbon Filter Adapters are handmade and included metal screen to keep the carbon in place. 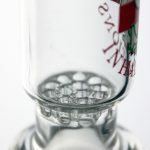 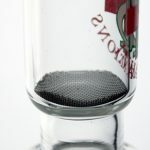 Our Honeycomb Glass Carbon Filter Adapters are handmade and feature a glass honeycomb filter screen to keep the carbon in place. 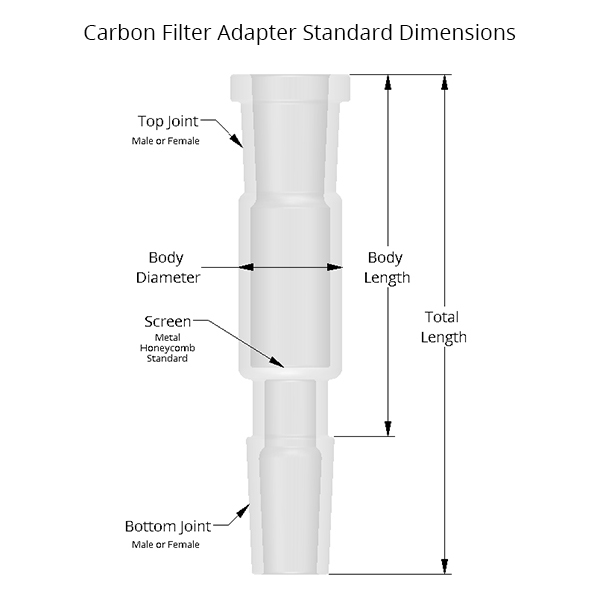 Our Standard Glass Carbon Filter Adapters are handmade and feature a glass 5-slot diffuser to keep the carbon in place and provide maximum flow.